The first generation of Google Pixel phones was manufactured by HTC. 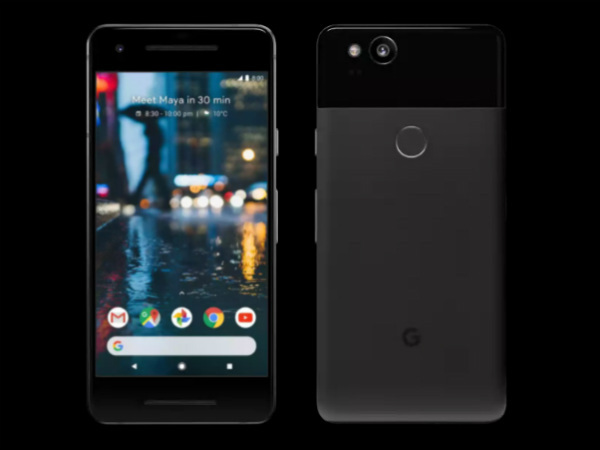 However, this year, only the Pixel 2 was made by HTC, while the Pixel 2 XL was built by LG. As some of you may know, the phones were codenamed as Walleye and Taimen. Long before their launch, there were rumors claiming Google would release a third Pixel phone codenamed as Muskie. The Muskie phone was eventually dropped in favor of the larger LG made Taimen, which would be later known as Pixel 2 XL. Well, the Muskie model has been spotted on AOSP code files by XDA Developers. It turns out, the Pixel 2 XL was originally supposed to be made by HTC. The AOSP files further reveal that the HTC made Google Pixel 2 XL packs a larger battery of 3,830mAh capacity. Whereas the LG made Pixel 2 XL has a 3,520mAh battery. Another thing that has come to light is Muskie’s display offered the screen density of 560dpi. Interestingly, the Google Pixel 2 also has the same screen density. The Muskie is also said to be equipped with a custom-made image processor called Pixel Visual Core. The Pixel 2 duo reportedly features the Pixel Visual Core image processor as well which will be enabled after receiving the Android 8.1 update. Meanwhile, alleged codenames of the 2018 Pixel phones have been leaked. Google will reportedly launch three smartphones next year and their codenames will be Crosshatch, Albacore, and Blueline. As usual, the codenames are after fishes. While two of these smartphones will be launched as “premium” phones, the third one could be a high-end model.